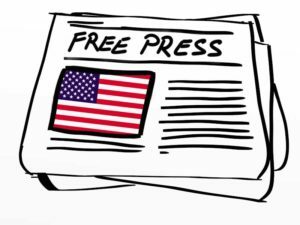 With the conclusion of the Mueller investigation concerning alleged collusion between President Trump and his campaign with Russia coming to an end and finding that there was no evidence of this occurring, it seems time to speak about Freedom of the Press, and what that really means. Because Axios reports that since May 2017 there have been 533,074 web articles published about President Trump's collusion, which then resulted in over 245 million likes, comments and shares on just Facebook and Twitter. And virtually all of these stories alleged, or outright claimed, his guilt throughout. Media talking heads made absolutely insane comments as if everything said about the collusion was true, such as, saying that there was “tons of proof of potential collusion,” that the president is “working with the Russians” or is “an agent of the Russians,” claiming this scandal is “worse than Watergate,” that the “noose was tightening,” that he and his aides would “end up in prison,” etc., etc. So much for truth in news. 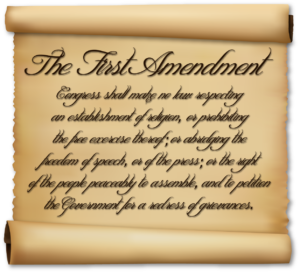 Our Founders did NOT intend that Freedom of Speech or Freedom of the Press meant people could say or print or publish anything they want without repercussion. America’s media has been both licentious and pernicious throughout their coverage of Mueller’s investigation. Modern media has truly taken advantage of our First Amendment to where they feel that they can say or publish anything they wish with impunity, regardless of whether or not their “news” is founded in truth or lies or what effect their recklessness might cause to a person or group. Not innuendo, rumor, outright lies stated as facts or statements or allegations that could possibly maybe be something like a fact. News, good or bad, should be true. Should be factual. Our Founders believed that the licentiousness of the press is punishable by law. 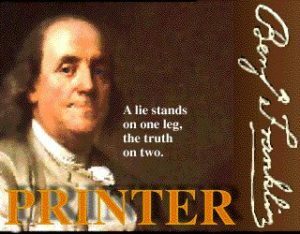 As Thomas Jefferson wrote in 1783, "Printing presses shall be subject to no other restraint than liableness to legal prosecution for false facts printed and published." Perhaps the defamation lawsuits that Covington Catholic High School student Nick Sandmann is laying down on media giants like CNN ($275 million), the Washington Post ($250 million), and, soon, others, will change the current mindset of media to write or say anything they please. ← We The People Will Keep Our Arms. Thank You.